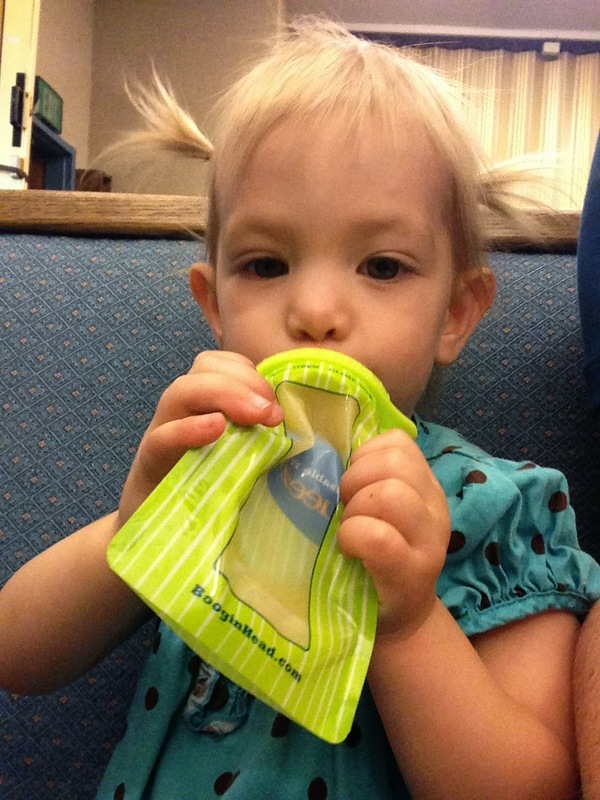 Sili Squeeze is a reusable food pouch. It is made out of certified food and medical grade safe materials that are BPA free, Phthlate free, PVC free, latex free and lead free. I am not a huge fan of food pouches because the one time I bought a food pouch, I opened it and there was mold inside. Gross. 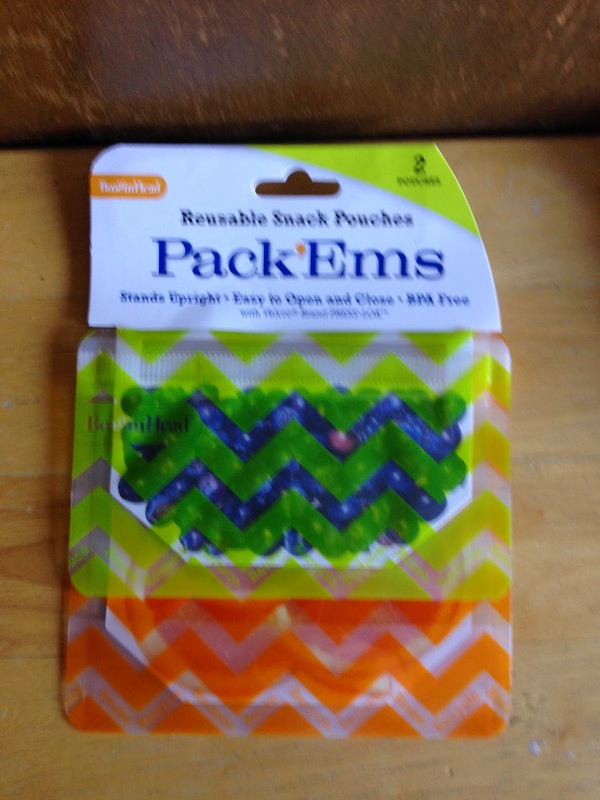 I refuse to give Bunny any store bought food pouches because of this. Sili Squeeze is a good middle ground. 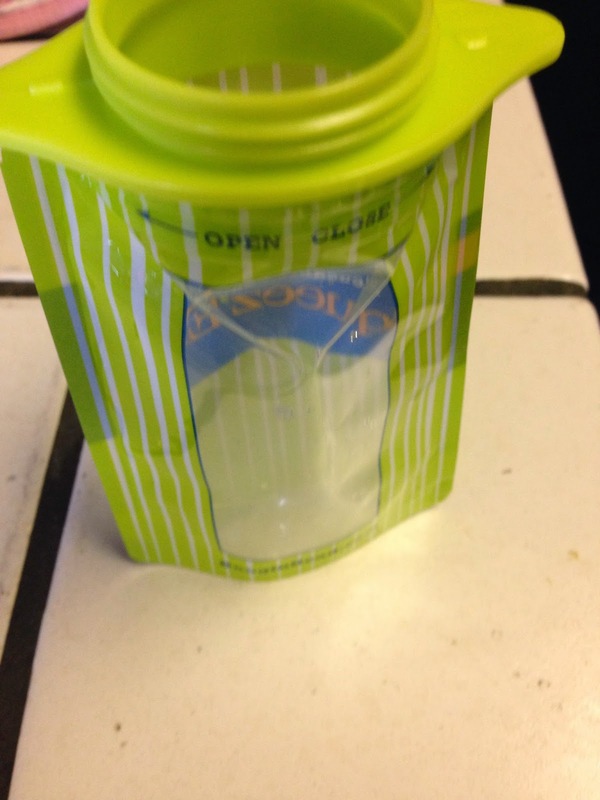 I can have a food pouch that I know will not have mold in it. Sounds good to me! 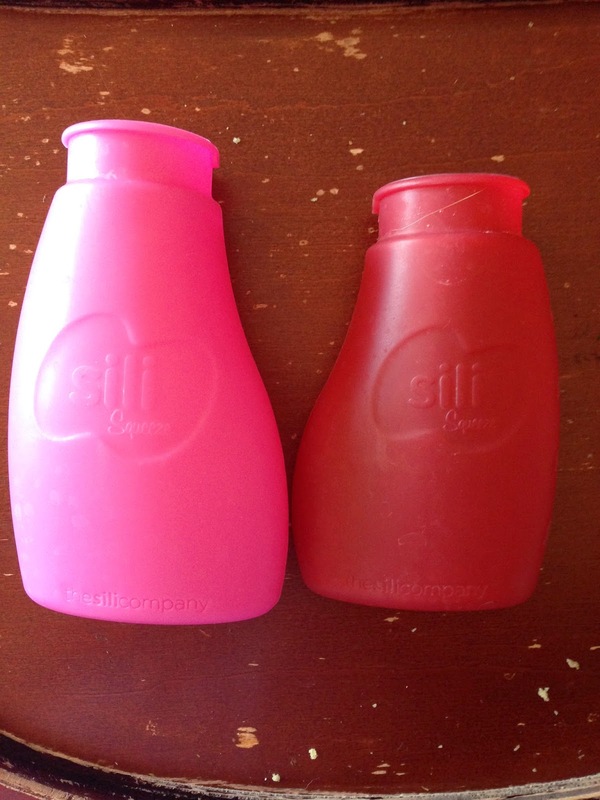 Sili Squeeze comes in four different colors and three sizes, 2 ounces (we have not tried this size), 4 ounces and 6 ounces. 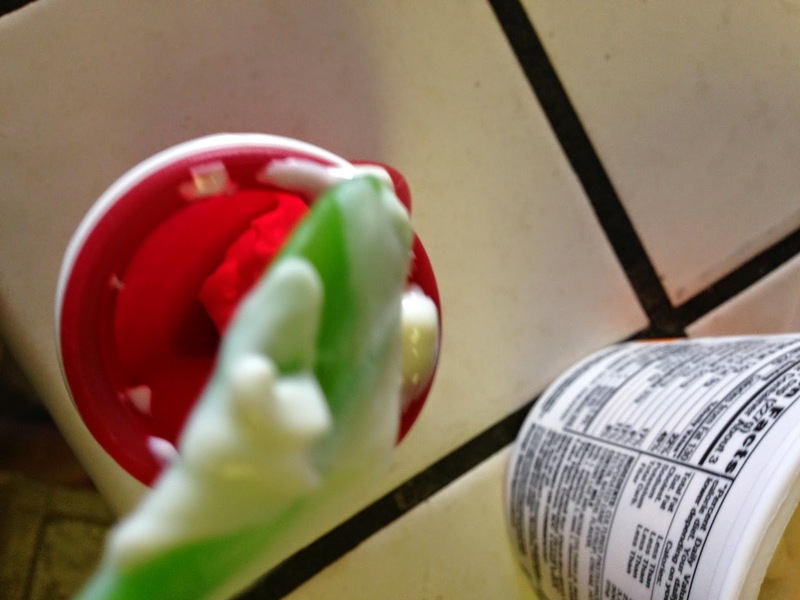 There is the spill proof Sili Squeeze and the Sili Squeeze with Eeeze. We bought both the 4 ouch size and the 6 ounce size in both styles. Bunny never used a bottle and didn’t know how to use the spill proof Sili Squeeze, so we moved right along to the Sili Squeeze with Eeeze. 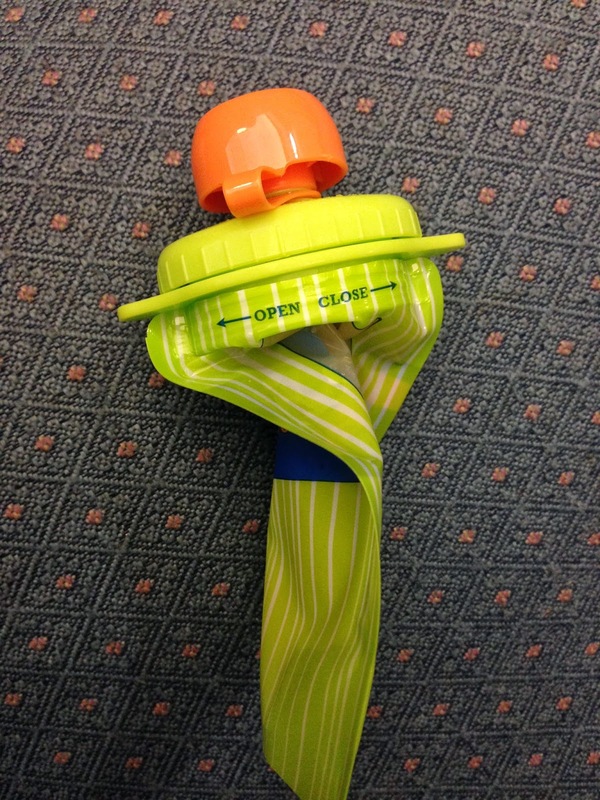 The Sili Squeeze with Eeeze has an open spout which allows food to flow freely through it when squeezed. 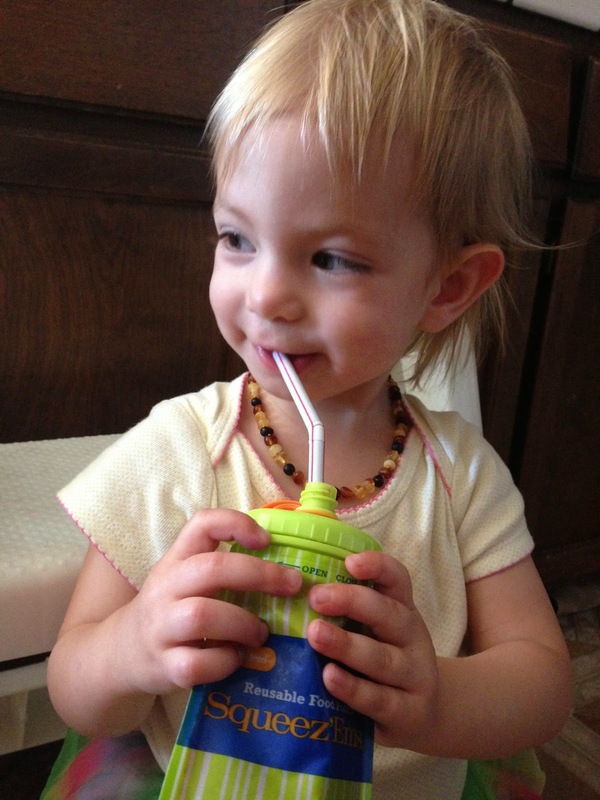 Bunny is almost 19 months old and has never made a mess with the Sili Squeeze with Eeeze. 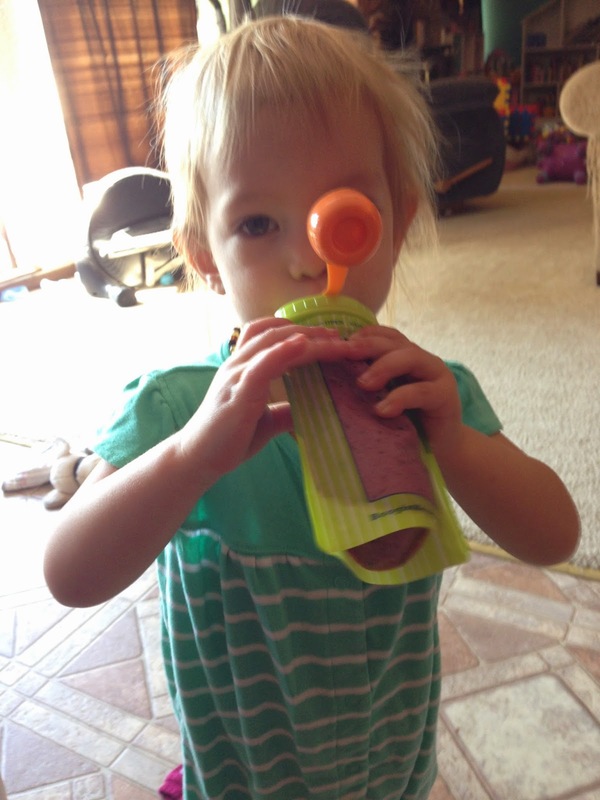 Bunny has been using the Sili Squeeze with Eeeze since she was about 11 months old. 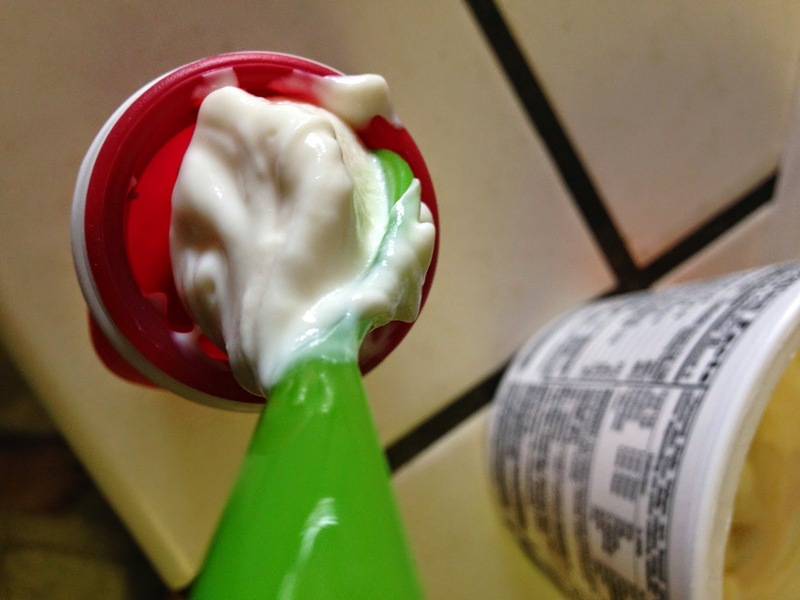 The Sili Squeeze is very easy to fill. 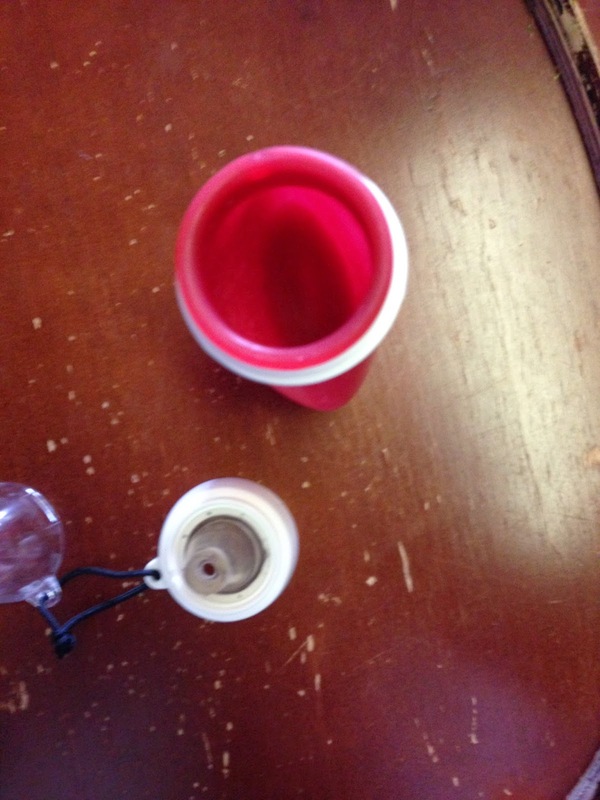 Sili Squeeze stands on its own and has a wide opening. 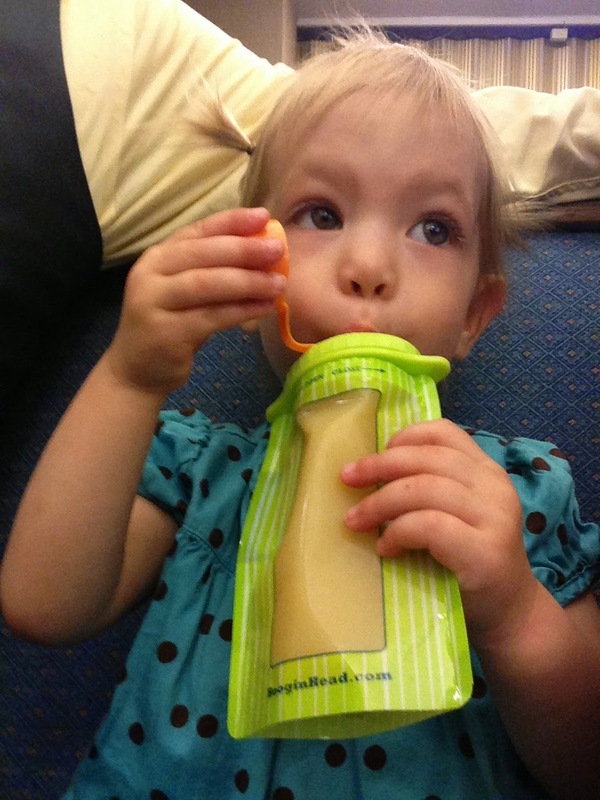 I can easily fit a baby spoon inside of the Sili Squeeze, and can almost fit an adult spoon. 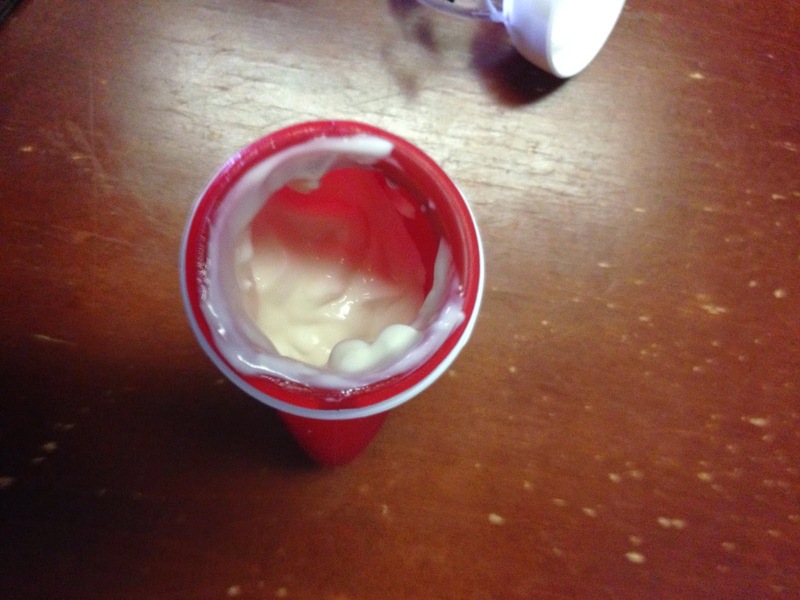 This makes it SUPER easy to fill. These are not just for babies and toddlers. 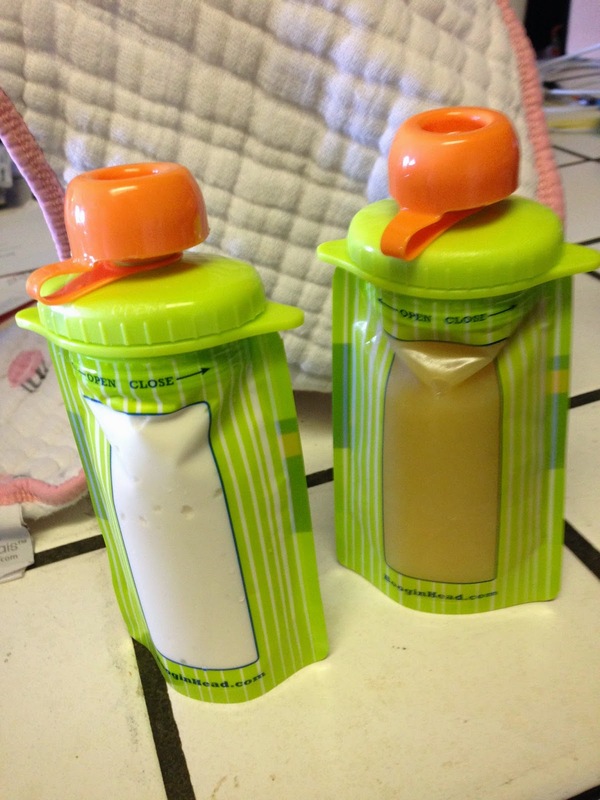 This is a wonderful way to send yogurt or other smooth food items in an older child’s lunch. 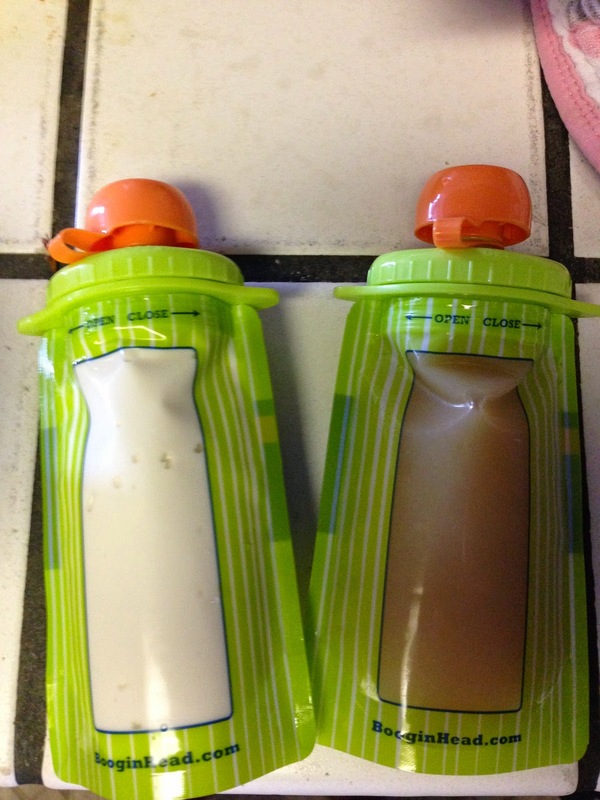 You can freeze Sili Squeeze the night before so your child has a cool snack or side dish for school! 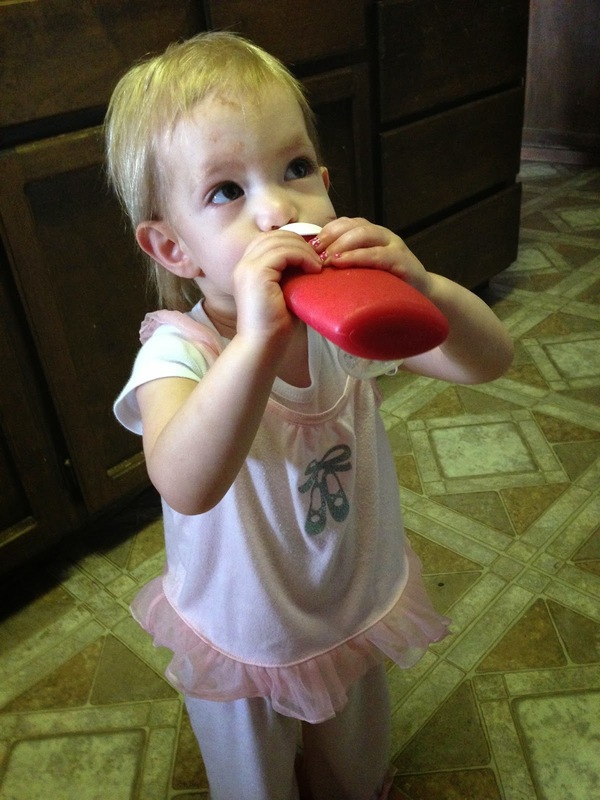 Bunny mainly has yogurt in her Sili Squeeze, but there are so many things you could put in Sili Squeeze. 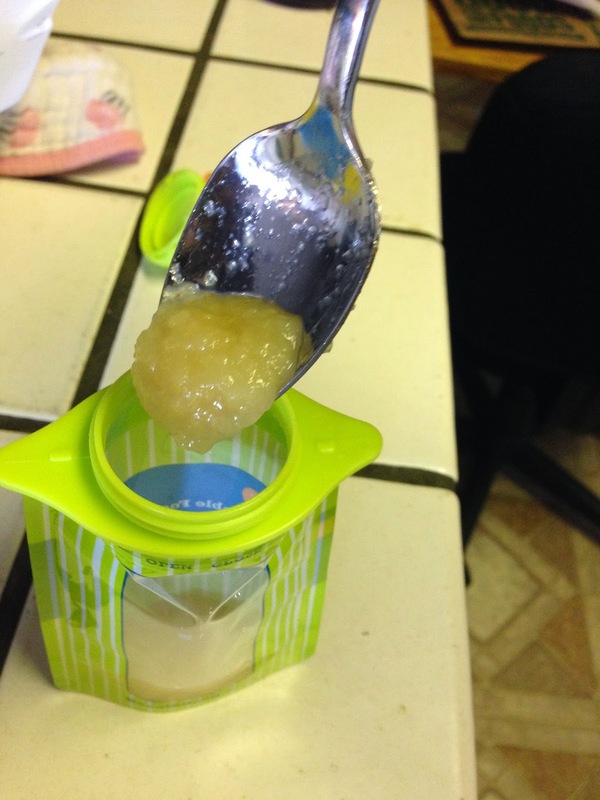 We have tried applesauce and smoothies. Both worked well in the Sili Squeeze. 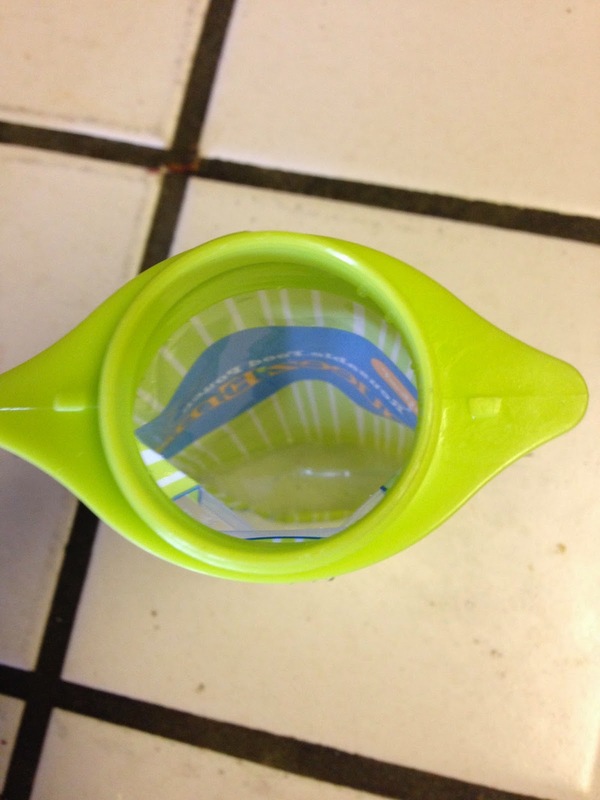 You can find recipes from Sili Squeeze here. Sili Squeeze is dishwasher safe (top rack) and easy to put together. 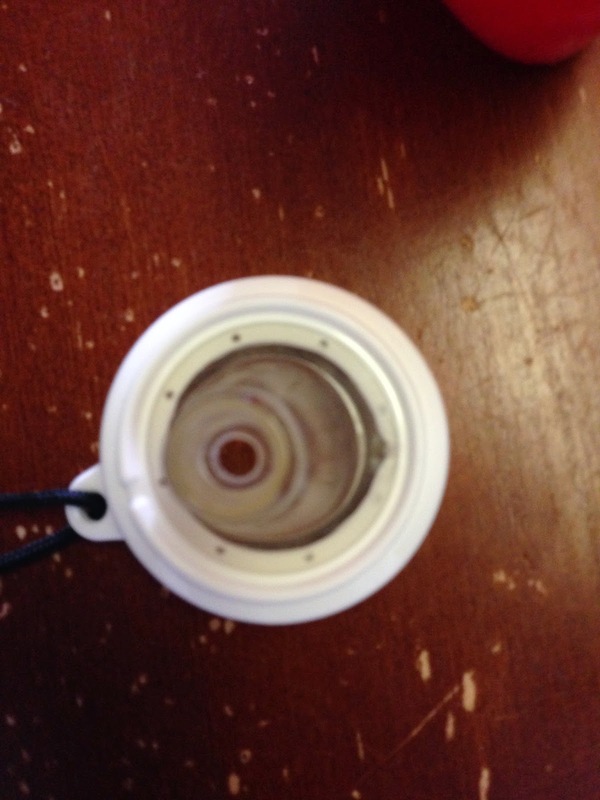 The collar goes onto the body of the Sili Squeeze, and the spout goes on top of the collar. 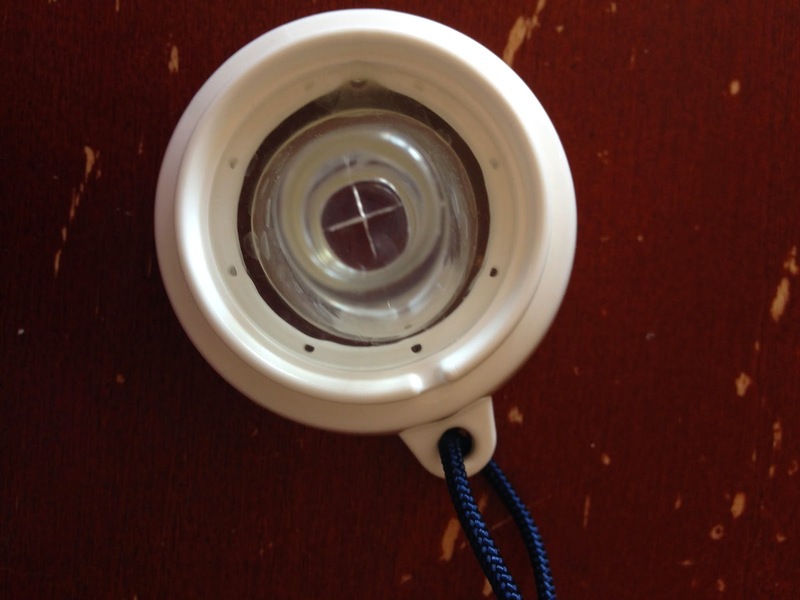 Very easy to put together and very easy to clean. 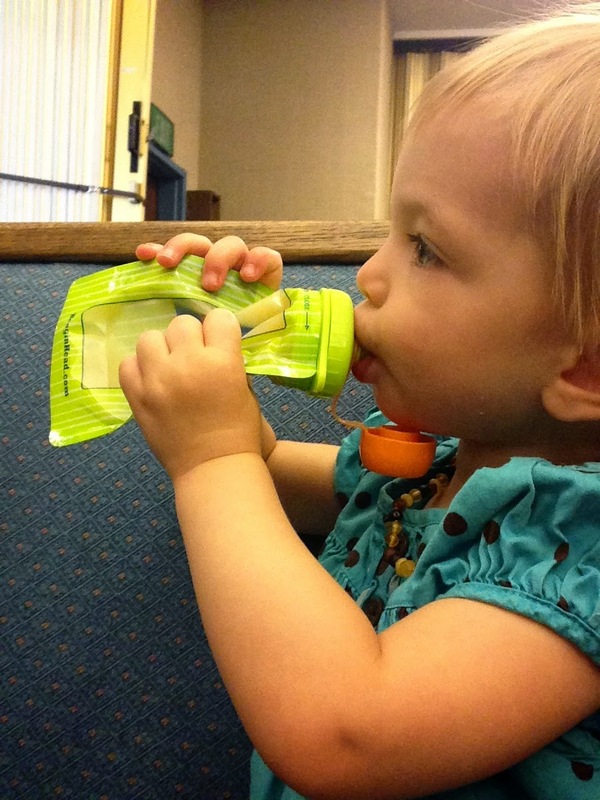 I love Sili Squeeze because it is eco friendly, dishwasher safe, and a wonderful way to have a nutritious snack while out and about. 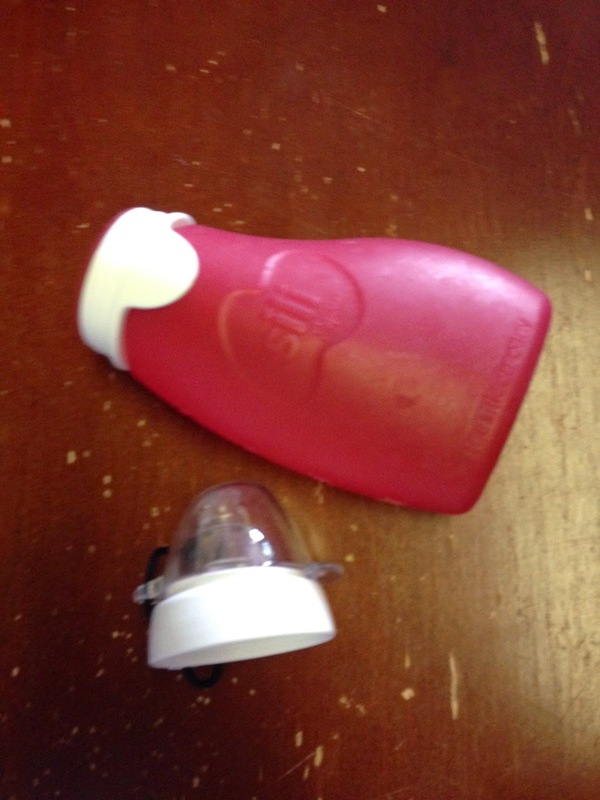 My only concern about using Sili Squeeze is Bunny will eat all of the food I put inside the Sili Squeeze. Sometimes that is more than she would eat if she was using a bowl and spoon. 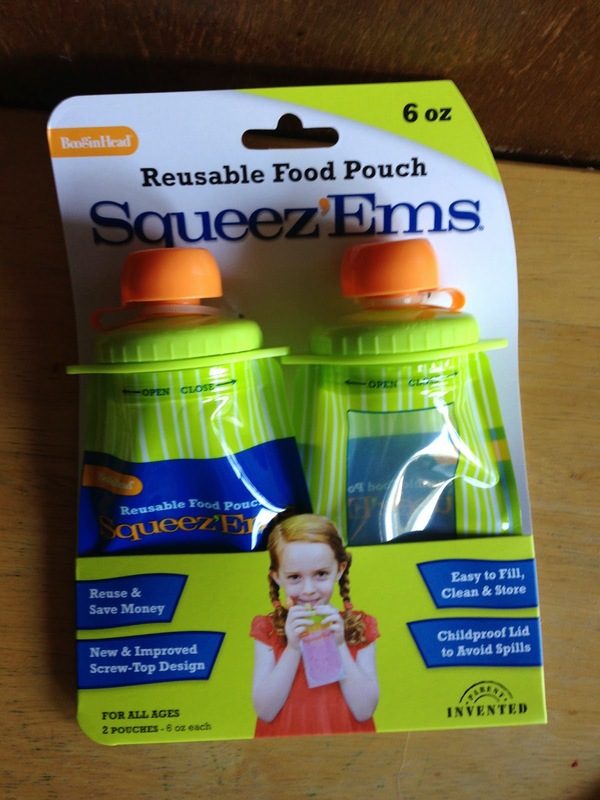 You can buy Sili Squeeze online for $14.99 each.